The state is also investing an additional $1 million to Career Source in an effort help those who left after the September 2017 storm. 40,000 displaced Puerto Ricans made their way to the Sunshine State after Maria’s devastation. Governor Scott says it’s important to give a helping hand to families who desperately need it. 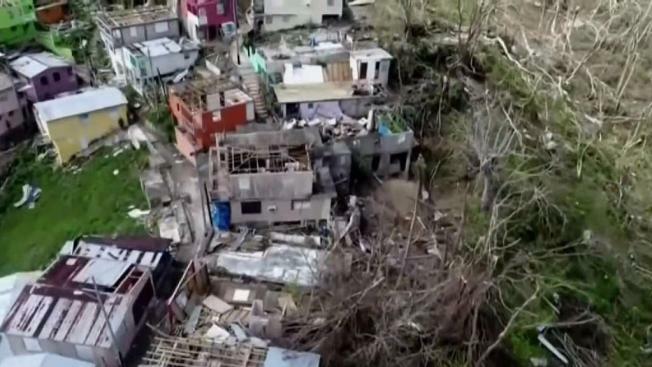 Giving families from Puerto Rico displaced by Hurricane Maria a new opportunity in Florida - that’s the goal of the state as Governor Rick Scott announced a new agreement that will continue to help. These jobs will include raising awareness about job opportunities and training. The state is also investing an additional $1 million to Career Source in an effort help those who left after the September 2017 storm get employment. “We are going to welcome you and do everything we can to make sure you get a job, to make sure kids get a good education,” Scott said. 40,000 displaced Puerto Ricans made their way to the Sunshine State after Maria’s devastation. Months later, some places are still without power. Governor Scott says it’s important to give a helping hand to families who desperately need it.